The United Nations’ Human Rights Council is “concerned” over ongoing ties between state agents and death squads in Colombia, it said in the periodic review of the country. The UN’s highest human rights body said it was “concerned” about paramilitary groups that were formed after a demobilization process with paramilitary umbrella organization AUC between 2003 and 2006. The Human Rights Committee was concerned by reports of abuses allegedly committed by illegal armed groups that had formed in the wake of the demobilization of paramilitary organizations. “It is also concerned by claims that some of these groups have acted in collusion with agents of the State,” the UN said it the report presented to Colombia’s delegation. Medellin’s former security secretary was sentenced to prison over his ties to La Oficina. The AUC successor groups have been the country’s primary human rights violators for years. The government, however, has consistently downplayed their prominence and has denied the paramilitary nature of these groups. The State party should redouble its efforts to prevent the commission of abuses by illegal armed groups that have formed in the wake of the demobilization of paramilitary organizations and to ensure that the responsible parties, including any agents of the State who provide support to such groups or allow them to act with their acquiescence, are brought to justice and punished. Dissident members of the AUC formed multiple groups after their former organization’s demobilization. Other organizations, like the Oficina de Envigado of “Don Berna,” never demobilized. 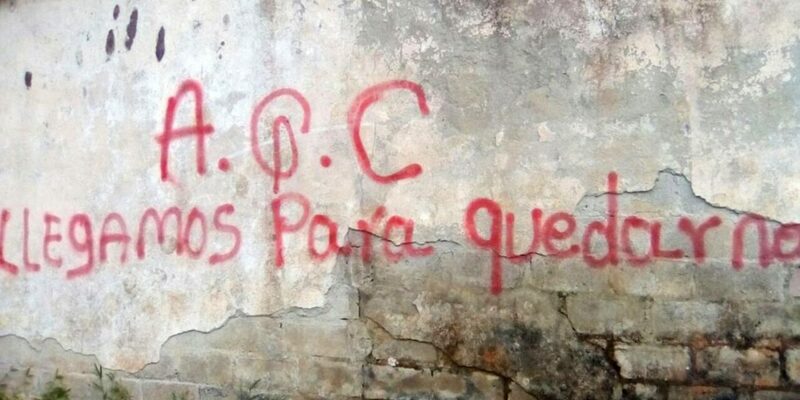 The AGC, the largest of these groups, has claimed that they rearmed because of the mass killing of demobilized combatants and state violations of the agreement made between former President Alvaro Uribe and AUC leaders.